Lord of the Rings was cool, but its hardly the gold standard. Don't get me started on the toggles. My biggest peeve is adding in really long extra scenes when they could have cut them and had more stuff from the book eg. when Harry rides Buckbeak over the lake. They could have cut/shortened it and added marauders back story. I suspect I will find the same thing with the first task in GOF. Also Dumbledore's beard. That tie is really irritating. hmm.... *wonders if they have actually read the books* ummm nope! Well.. of course the movies would change the book in some way because no one wants what was EXACTLY from the book.. It would be to boring.. thats what makes the harry potter movies its own unique movie.. but.. i have to say.. the acting could be better.. thats about it.. the rest is good.. the length, graphics, story..
No. 2 I do not like the new Dumbledore. I liked Richard Harris protrayal of Dumbldore than Michael Gambdon. No. 3 Ron whines to much!!!!!!!!!! Snape: If you only knew the power of the Dark Side. Dumbledore never told you what happened to your father. Harry: He told me enough. He told me Voldemort killed him. 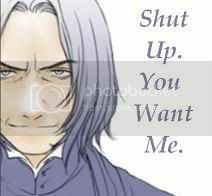 Snape: No. *I* am your father. Harry: No. No. It's not true. That's impossible. Snape: Search your feelings. You know it to be true. I think, there should be two different versions of every movie made, that was based on a book. One for the masses (ie: the type that Cuaron Columbus, Newell made), and one that is perfectly matched to the book, for people like us, who read the books. M-hm! But, I hate Cliche's in movies. I agree with you, but you don't have to be so hard on the actors cause they're doing the best they can.. And once you get used to them, They're not that bad at acting..
Well, if that's the best that they can do they're bad actors. The thing that stands out in my mind is PoA and the Shrieking Shack. Harry is in Hogsmead (Shack in background) and Dan's giving this melodramatic monologue about being ready for "him." I remember thinking hmmm that was a bit lame and over done. It was a bit more of temper tantrum Harry than it was resolution Harry. If that makes any sense. So Other times he seems to be Keannu Reeves or the tin-man from the Wizard of Oz, where you're like "Dude, can we get a bit more emotion." I guess crappy acting is my pet peeve. I hate the fact that they're trying to do things more dramatic and 'spectacular' than they're in the books, because it doesn't even work. Like changing the patronus from cute silver stag chasing the dementors away to a weird force field visible from miles away. ok what do i hate, well theres the whole missing things out changing them around thing. Missing out whole sub-plots, the fact that harrys eyes arn't green. The fact that in POA the dementores were flying and they had teeth thats right people teeth. There is a popular theory which states that if ever anyone discovered exactly what the Universe is for and why it is here, it will instantly disappear and be replaced by something even more bizarre and inexplicable. There is another theory which states this has already happened. I wanted to see a de-gnoming of the garden in CoS, I know it's not crucial but I just love that bit, I obviously have a picture of the gnomes in my mind but I wanted to see them. That's what I love about the films the visual aspect, seeing what everyone looks like that's why it's frustrating when pople are left out. I think they should have done like LOTR and made extra long versions, then the people who want everything can see it and people happy with 2 1/2 hour long films don't have to moan that they are too long. Personally I could sit through 4 hours of Harry Potter if it meant de-gnoming of the garden, peeves, The Deathday Party, Ludo Bagman etc etc etc. And I would love to have SPEW, I know they cut that out too. I don't like it when the movies change the little things that don't really matter and that only the most obsessive fans like me notice. I just hate to see anything about Harry Potter changed, even if it's in the interest of shortening the movie and making things mesh better. Oh Captain Jack, you've swashbuckled your way into my heart. Harry's got brown hair in GoF... I hate that. “IN MY OPINION” meet everyone in the forum!!!! Seriously you people should start using it. Just because YOU don’t like the way some of the actors act, doesn’t mean they cant! That’s your opinion. In my opinion most of the cast is superb, especially the trio. Pet peeves? Well I feel like the first two movies were to childish, of course they would be, considering they were clearly directed towards children, I'm very happy PoA and GoF didn’t follow that. the whole taking out things that are important i swear! my dad doesnt really read books but he loves movies so every time i complain about how bad the movies are hes "like they are never going to be just like the books" well i know they arent gunna be just like the books but come on you could at;est get the major plot points in there. like in the third movie the whole thing about nnot explaining the mauraderes par that was just bad. *the new dumbledore he just doesnt fit the part he's like a hippie and that hat just HAS to go! it seems to me that each movie gets less and less like the books. the 1st 2 they cut out minor details add afew things here and there the 3rd movie they ut out subplots and add really corny lines in and then the 4th movie theyre just chopping up the book taking out major charecters and everything!!! And i am Outta Here"